Damyanti Thakker is an experienced lawyer having qualified as a Solicitor in 1978. She has had very varied experience and joined Whitelock & Storr in Holborn as a trainee in 1975 where she remained until 1987 practising in Commercial and Residential Conveyancing and Family Law. Between 1987 and 1989 she was solely in charge of the Family Department of a practice in Pinner, now known as Hanney Dawkins & Jones. 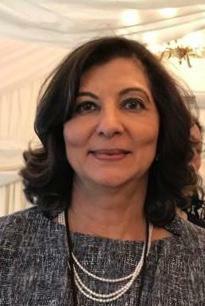 Damyanti Thakker founded Thakker & Co in 1989. Damyanti Thakker has practised in a number of areas of law, namely:- Commercial and Residential Conveyancing; Landlord & Tenant; Wills, Trusts and Estate Planning and Probate and Administration of Estate; Will Disputes and Inheritance claims; Elderly Client Care and Family Law. She is a Resolution (formerly known as the Solicitors Family Law Association) accredited Family Law Specialist and is also on the Law Society Panel of Family Law Specialists. She is also fluent in Gujarati and has an understanding of Hindi. She understands and has knowledge of the Indian cultural issues when dealing with divorces and wills and inheritance disputes.